InstantAtlas delivers interactive reports, presentations, and websites that combine statistics and maps to inform better decision-making. Intelliview NXT is a enterprise reporting solution focused solely on empowering both non-technical and tech savvy users with "business insights" from their data without placing ANY overhead on IT teams. View meaningful data through personalised, easy to use, interactive dashboards for improved understanding and decision making. 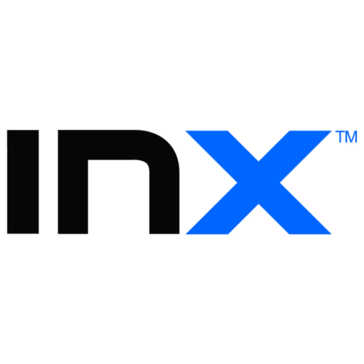 INX +BI assists the entire workforce management process by simplifying reporting and graphing through a single screen, drill-down dashboard display. Gathering information on day-to-day operations is typically a time-consuming and complex task. This generally relies on multiple people, spreadsheets and systems but with INX +BI this is all managed for you in one place, on one screen. Your management meetings are now sorted! KeyTiles is a dashboard for visualization of online content consumption. Known Factors offers business intelligence solutions to discover new revenue opportunities. Kumu is a powerful data visualization platform that helps organize complex information into interactive relationship maps. Lodr is a Redshift data studio. Prepare and load files, query data, and sync your S3 buckets. Lumenore is a cloud-based Business Intelligence and Analytics platform that equips businesses with powerful, yet easy-to-use features to derive deeper data insights from multiple sources and in multiple formats. Maptiks is a web-based mapping analytics software. Melown is a cloud platform for interactive visualization of 2D and 3D geospatial data. Easy reporting for busy marketers. AdWords, Facebook & Analytics dashboards and reporting. Uncover new insights with deeper interactive data visualization and analysis from Nasdaq's investor relations analytics solution. NetCharts suite of solutions provides comprehensive data visualization and performance management dashboards for business analysts and development professionals. Nucleus is for everyone, from the marketing intern to the executive director. With its customizable reports and deeper levels of analysis, Nucleus is equipped to answer all your data questions. Nugit is an automated Data Storytelling Platform, going beyond a dashboard, helping to enable people to sift through overwhelming and complex data to find the insights and opportunities within. Nugit is able to provide these insights through data storytelling at scale, so it's immediately able to be understood. Focus teams, monitor trends, and make smart decisions. The OmniView Browser allows access to all legacy and acquired data without the time and expense of conversion. Dashboards built with OpenText Information Hub (iHub) are web applications that aggregate multiple data sources and views into a unified, interactive experience that furthers collaboration, data exploration, and more precise decision-making at all levels of an organization. Panopticon offers real-time data visualization solutions. Picnic Metrics turns Google Analytics Reports into a simple built-in dashboard and weekly digest emails. Plottable.js provides flexible, interactive charts for the web. Polarity a memory augmentation platform. Polinode allows you to import, collect and analyze network data. With Polinode Networks you can upload any network data to the Polinode cloud where you can interact with it, visualize it and analyze it. Predictive Suite is a computational intelligence software for data mining analysis and predictive modeling. HardMetrics optimizes sales, service and operations with business intelligence and operational analytics solutions. We transform enterprise data into actionable information that drives profitability, improves efficiency, and enhances customer satisfaction. Quadigram is a tool that create beautiful data-driven presentations & stories without writing code. Questica is a recognized leader in budget, performance and data visualization software. Our customers are local governments, colleges, universities, K-12 schools, hospitals, healthcare facilities and not-for-profit organizations throughout North America. Questica OpenBook is a transparency and data visualization tool. Present financial and non-financial data with descriptive text, informational pop-ups, charts, and graphs. The searching, filtering and sorting tools allow you to find the right information faster. Now everyone can dive in and discover information that was once hidden in a spreadsheet. Integrates with Balancing Act's budget simulator tool. *New" OpenBook Project Explorer for Capital Budgets. Investigates your business with more than 200 Metrics regrouped in 83 tables / charts. Easily creates all the dashboards and wallboards you need. Shares information with your team in real time or simply design the perfect dashboard to keep everything under control at a glance. QueueMetrics-Live includes a Softphone for each of your Agents. Quick & Easy is our cloud based analytics and reporting platform that unifies, automates and shares your data. Our mission is to help businesses use data to become leaner, make smarter, faster decisions and solve complex business problems and our product promise is to do this quicker and more cost effectively than anyone else making sure you have plenty left to get to work growing your business. That is supported by our award winning consulting and analytics services. Our vision is to help our clients to become passionate advocates of data driven decision making through making it quick and easy to put your data to work and get it out into the hands of the frontline. Real time curation of your companys operations. It lets you define targets for your company, teams or individuals and periodically showcases their performance, giving you a panoramic view of your company and everything in it. RAWGraphsis an open web tool to create custom vector-based visualizations. Research Box is a data visualization software that enables Ambri engineers and scientists to quickly and easily digest large quantities of data and gain insights into how the batteries and processes are performing on a real time basis. SalesVisual lets you visualize your Salesforce relationships. Simply install it and discover how your contacts, accounts, opportunities, users, campaigns and products relate to each other. Scantron Analytics delivers up-to-date information through highly visual, easy-to-understand dashboards. Scantron Analytics simply stores data youre already collecting, sourced from a variety of educational systems, in memory. shinobicharts provides tools to create charts and graphs for android and iOS systems. Sizzle Analytics provides a tool for interactive data visualization. Socrata Open Performance is a way to measure the preformance of your government programs and share your results with the world. You can publish pre-processed data and created data visualizations in variable forms - vector or raster, static, interactive or animated, offline or online.